The contentious issue of salaries and royalties has rocked South African entertainment industry, with the recent scandal surrounding the firing of Generations' principal cast for striking. Coincidentally, while the cast of Generations fight for their rights to share in the profit of the country's most financially successful show, the SABC is running a rebroadcast of what is essentially one of the perfect example of exploitation of performers in South Africa history. Shaka Zulu as a tv series made a lot of money yet its main star died poor. According to Joshua Sinclair, an Austria-based American screenwriter and medical doctor who penned the historical novelization of the reign of 19th-Century Zulu king Shaka and the adapted 1986 miniseries Shaka Zulu, Harmony Gold made $500million (that we know of) from Shaka Zulu tv series. 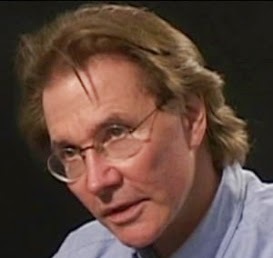 In an interview with Camera In The Sun in October 2013, the writer revealed how the $12million production was commissioned by the South African Broadcasting Corporation in the midst of an international cultural boycott in the 80s, and was a massive hit, its syndication proving to be highly profitable for its distributor with subsequent profits of a staggering R5-Billion. 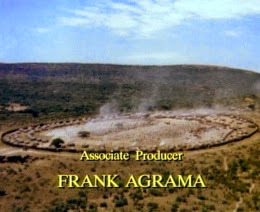 The production was shot on location here in South Africa with director William C. Faure and local actors featured prominently in the show. The show made its leading man Henry Cele an international star. It was being commissioned by South African Broadcasting. Because of the cultural boycott, they didn’t want to appear as the ones who were commissioning it. They wanted to do it for TV3 — and TV3 is in Zulu. I said to my friends back home, “I’m writing a movie in Zulu.” And they were laughing, “You’re out of your mind. It’s not gonna go anywhere.” It ended up being the #1 syndicated series of all time. But I wrote it in such a way that SABC could not possibly have it on TV3. It had to be TV1. I mean, it’s been seen by 3 billion people, maybe. We don’t know, because Harmony Gold [USA] has never told anybody how much Shaka Zulu made. Because they made a fortune. Harmony Gold was given Shaka as a gift. It was used to bypass the cultural boycott. The head of Harmony Gold, Frank Agrama has recently been convicted of tax fraud for his work with Silvio Berlusconi, and got three years in jail — which he won’t serve. But Harmony Gold is the name of a mine is South Africa. They needed to bypass the cultural boycott. I didn’t even realize this was happening, until years later. Because I had 8% of the income, and I never got that. I was just given a check once by Harmony Gold for $75,000. They have made $500 million, that we know of, from Shaka. For a TV series, that’s a lot. According to Sinclair, Harmony Gold, before Shaka Zulu, was a suite of 5 rooms in some low rent building. It wasn’t even called Harmony Gold then. It was called “FAR International” — for Farouk Agrama International. The biggest blunder in all this however, came from the then SABC. The broadcaster reportedly put up all the money, but they gave 60% of the income to Harmony Gold, plus expenses. That’s unheard of. Sinclair explained that; "... all Harmony Gold had to do was sell the movie, which was pretty easy. Literally, Harmony Gold could have, and did, rake in 80% of the income of the film gross. South African Broadcasting didn’t even recoup, according to them, the 10 million rand that they had put up in the first place." "So then there were monies being funneled into a bank in Switzerland, which I think Agrama had together with Berlusconi. Berlusconi was using Agrama as a fence, and South African Broadcasting was using Agrama as a fence." According to the cultural boycott brought on by sanctions against apartheid, countries could not sell or buy programs to the SABC. So for programs out of South Africa to get buyers, SABC needed not to appear as the producers. 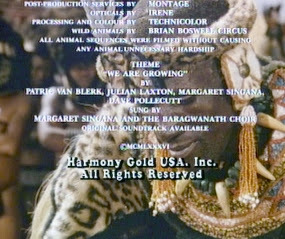 Harmony Gold exploited this and appeared as the producers on Shaka Zulu with no mention of the SABC. A lot of it stayed in the Swiss bank, and never hit South Africa. The South Africans themselves didn’t want it to hit South Africa. So the involvement was, [Agrama] did some sales that put Harmony Gold on the map. They gave Harmony Gold a name, which is a gold mine in South Africa. It made [Agrama] rich overnight. And in a way it helped Shaka, because they sold it everywhere. But many people thought that Harmony Gold had produced it, and had paid for it — when in fact, that’s not what happened at all. I told the head of the legal department at SABC, “You guys are nuts.” He came to see me in London, because he was the one who negotiated the deal where everything had to be signed, after I sued them. We became friends, actually. He understood my point of view, and he actually honored it. I said, “You guys are nuts. This is a chance for you to show the world that you’re doing something good for the Black people. You’re showing their heritage. You’re showing how important they were to the history of South Africa. You’re doing something good. In a way, it makes up for many of the mistakes of apartheid. Why wouldn’t you want people to know you are doing it? Why wouldn’t you want people to know that you’re spending 10 million rand on the Zulus history? That’s a great plus for you.” They didn’t get it. They said, “Oh, but people won’t buy it from us, because of the cultural boycott.” I said, “You can burst the cultural boycott by just making a case for what you’re doing. I think people will understand. Just go out there and tell the truth. ‘We’re making this, because we believe that the heritage of the Black people and the Zulus is as important as that of the Afrikaners and the Brits in South Africa. We’re spending government money to make this, which is going to be one of the biggest epic series ever made. And we’re doing it for the Zulus. Not for the Afrikaners. Not for the Brits. For the Zulus.’ They’ll like that. They’ll buy it from you.” But they didn’t get that. They were afraid. I was writer, and I co-directed Shaka. I personally made $150,000 out of it, but I had 8% of the movie. Now, legally I can’t even sue. Why? The United Nations called me when I was working in India with Mother Teresa. So I had to have pretty clean politics. So by signing that piece of paper, I gave up almost $20 million. At the age of 19-20, it would really have made a difference. But I would do it again, because you make it up anyway. The point is, you had to do it. The things I saw as a doctor, you had to do it. You couldn’t possibly not be on the side of these people. So I said, “OK.” But then I went to the International Court in the Hague, and I sued South Africa on the grounds that apartheid is against the Geneva Copyright Convention. I won. And I wanted each and every page in the script to be signed by myself and everybody else. It had to be shot the way it was written, so that it would not end up being propaganda for South Africa. It was a big fight, and I was fighting the government. But I won. For someone like myself who loves this business, it is gut-wrenching to have all this information and hear someone like Mr Mfundi Vundla, who is a black man, a South African, say arrogantly that the Generation cast is greedy and the show will go on without them, when all they are asking for is the cut of the millions the show is making. Is he going to find other actors who are willing to work for the bare minimum? Are those actors gonna be happy to just be on tv but not be able to afford a car loan, mortgage or even medical aid when the show is making millions for the bosses. 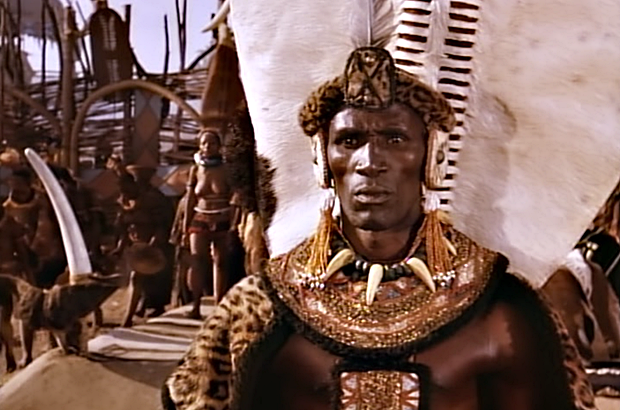 Shaka Zulu star, Henry Cele, died in 2007 after being hospitalised for two weeks with a chest infection. At 58, he is reported to have been a far cry from the regal king he immortalized on screen. He is said to have died a poor man. As his career took a nose-dive Cele retreated from his suburban home in Glenmore, South of Durban, and went back to Kwamashu township where he spent his last days. This pioneer brought awareness to a culture whose facts were distorted by historians. Cele brought the true lesson of history to our TV screens, not the drudgery of long, boring history lessons we were subjected to at school. Shaka Zulu the TV series brought awareness and happiness to many of us. The past is gone with its sweet song. Cele died a very lonely, poor man. He was robbed, lied to and belittled by those filmmakers. They made millions from his talent, but he did not benefit. Even our own media people ignored his talent. They didn't treat him with respect and never honoured him with that covetous life-time achievement award that some undeserving individuals have been given. Now that he has passed on, people pretend to revere him. Cele was probably a bitter man because life did not treat him well. Many celebrities and businessmen will now converge to honour him. But no matter what they do, it is not honouring Cele. Let's stop honouring the dead, but rather the living. Yes, the actors should get their due but this is also a call on the whole industry to wake up and demand change. What these Generations actors have sparked should ignite a fire that will burn the injustices of this industry so that we will never have to read about executives making billions from our artists' talent while they [artists] die penniless. sad story. The man not only gave the performance the likes of which we may never see again, but he was also an amazing human being who gave so much of himself. In someways the struggles of Local actors is somewhat demonstrated by the Generations strike.African actors are not given the respect they deserve even today, i can only imagine how worse things must have been in 1986.A real travesty.